Texas has much more opportunities for rockhounding than many people realize. Every part of the state has something to collect. Agates and jaspers can be located throughout Texas. 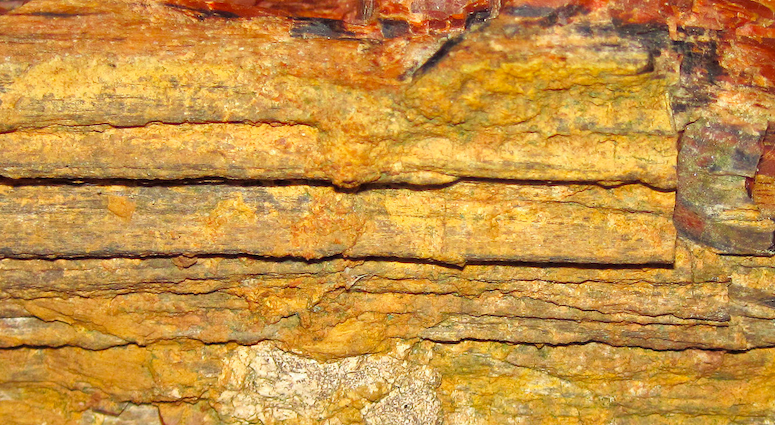 Many rockhounds hunt almost exclusively for high-grade petrified wood pieces. Nice palm wood pieces can still be found and make excellent lapidary specimens. This article will highlight a few choice areas that are worth exploring for adventurous rock collectors. Please keep in mind that most of the state of Texas is private land. Identifying areas to search is the first step, but gaining land access is the second (and very necessary) step before you start your hunt. Many ranchers offer access to their lands for a small daily fee. Petrified wood is surprisingly abundant in Texas if you know where to look. There are a few places worth highlighting. Not only are these going to be good places for further research, but it may be worthwhile to explore adjacent areas in search of other ancient wood deposits. There are many areas that are not well documented. One known collecting site is near Lake Mackenzie in the Panhandle, northwest of the town of Silverton. You can search the hills north of the reservoir with decent results, or simply explore the gravels along the shoreline. You can find pieces of petrified wood scattered throughout the gravels of the Brazos River. It’s easy enough to explore around bridges when water levels are low. Carefully scan the exposed gravel and look for isolated pieces. Toledo Bend Reservoir has lots of interesting rocks. In addition to nice palm wood specimens there is also some nice agate and jasper material that is nice for lapidary. There are areas around the towns of La Grange and Nechanitz that have long been known for palm wood and even select pieces of opalized wood. The town of Livingston has always been well-known for its abundant petrified wood. All of the collecting sites are on private land, but you might have luck asking permission at the right places. You might also check with some of the local businesses and see if you can get some tips on access. Texas is actually one of the few places where tektites can be collected. These are fascinating little specimens that are formed when meteorites slam into the earth, creating a glass-like substance. They are found around the town of Dime Box and Somerville Lake. Nails Creek State Park is within a known tektite area and is a good “home base” for your searching. Another location known for tektites is the small town of Bedias in Grimes County. These distinct specimens found in this region are also called bediasites by geologists. 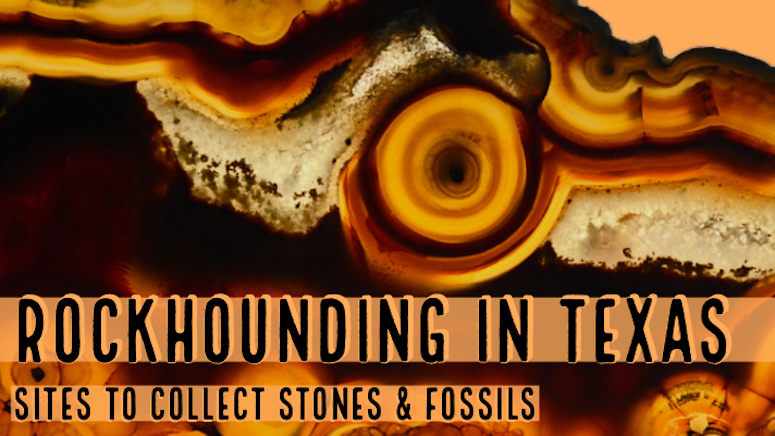 Tektites are the prize of any Texas rockhound. As such, they are extremely hard to find nowadays. Careful inspection within the known areas is required to find one. 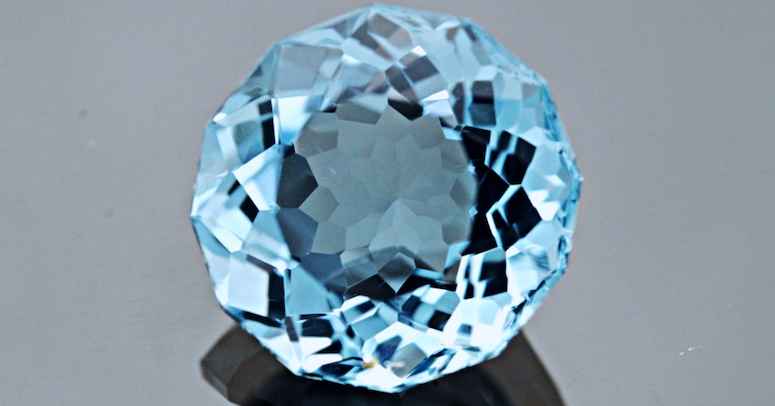 The lovely gem known as topaz is the Texas State Gem. There are several areas where these gorgeous gems occur. Perhaps the best known area is at the San Saba River. A small area north of the town of Mason in the Katemcy Creek area is particularly productive. Inquire with the local ranchers for access. The Bar M Ranch in Mason is one of the few public collecting areas for topaz in Texas. You can pay a small fee and access known pits where topaz specimens can be dug from pegmatite dikes. Another pay-to-dig site near Mason is the Sequist Ranch. This is another well-known area along Honey Creek where you can find beautiful specimens of Texas Topaz. Many people are surprised to learn how abundant fossils are throughout this state. In fact, most of the areas where petrified wood have been found also have the potential for fossils. The most common occurrences are invertebrates that were once part of an ancient sea floor. Two good sites are at Granbury Lake and Lake Benbrook. Large ammonite fossils have been found here that are as large as a human head! A wide array of fossils are found here, including trilobites, crinoids, and gastropods. The nearby town of Glen Rose is well-known for fossils. If you are in the area you must explore the Dinosaur Valley State Park where you can see ancient dinosaur footprint impressions in the mud. What an amazing thing to see! Search the exposed limestones around Lake Bridgeport near Chico to find a variety of different fossils. Ancient clams and snails are imbedded within the limestones that can be carefully removed with a rock hammer. The real prize here are trilobites, which are quite rare but can be found from time to time. There are exposed limestone deposits containing abundant crinoid stems in the vicinity of Cisco and Moran. The best places to search area along road cuts where ancient sea floors have been exposed to the surface. By far, the most common and widespread mineral available to rockhounds are agates and jaspers. The jaspers can be quite nice if you are interested in lapidary work. Select pieces can be cut into nice cabochons, but the agates are what most collectors are interested in. Lovely specimens of Bouquet Agate can be collected in West Texas. The area around the Marfa produces some of the nicest pieces in all of Texas. The plumes are absolutely brilliant on select specimens. The Walker Ranch and the Woodward Ranch have been a very productive site for rockhounding. They are located about 15 miles south of Alpine. Spectacular red plume agates, banded agates and moss agates have been collected here. Some of the pieces are absolutely world-class. These are private ranches that will allow you access if you ask permission and pay a small fee. Needle Peak is located north of the Big Bend National Park. This area has been famous for its nice pom pom and thistle agates. The Rio Grande River contains some nice agate and jaspers scattered throughout the sand and gravels. Agates are truly abundant in West Texas. We are really just scratching the surface here. Despite many years of collecting at some of these sites, there is still good material to be found. If you are serious about rockhounding in Texas I would suggest a decent book on the subject so you can get further detail about precise collecting locations.